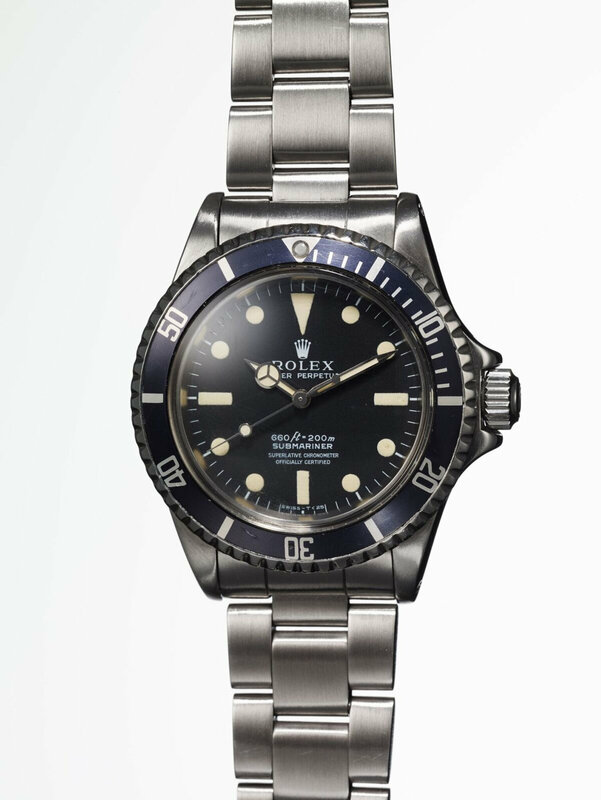 That’s right, a Rolex Submariner owned and gifted by the King of Cool will go under the hammer at Phillips auction house in New York on October 25. A year after the blockbuster sale of Paul Newman’s Paul Newman Daytona. It’s not just the timing of the sale that these two celebrity watches share either, with McQueen’s 1964 Rolex Submariner ref. 5513 sharing a similar story of provenance, complete with a few extra burning details. Phillips tell us the watch was purchased by McQueen in the 1960s. It was then gifted by him to his long-time stunt double Loren Janes, sometime in the mid-to-late ’70s, according to members of Janes’ surviving family. 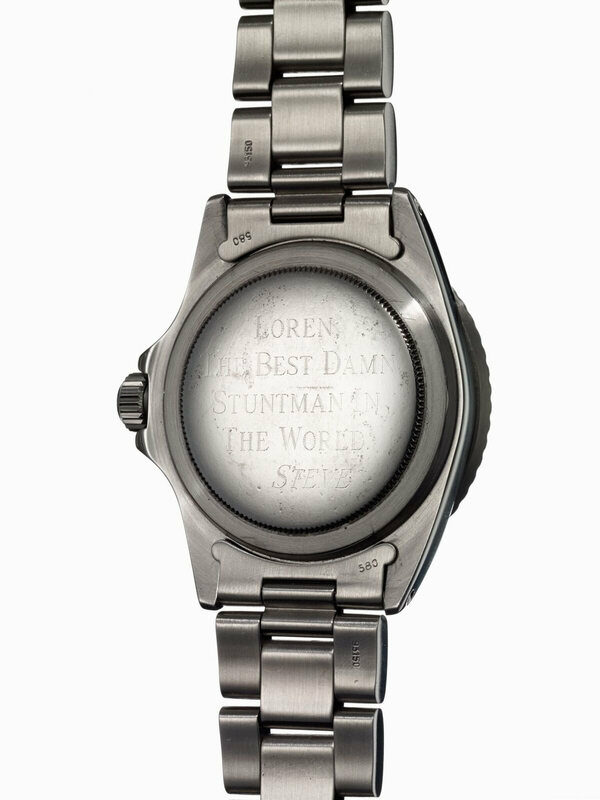 Having worked together on 19 of McQueen’s films over two decades, including Bullitt, The Great Escape and The Thomas Crown Affair, Janes was McQueen’s go-to stuntman, and before giving him the watch, McQueen had the case back inscribed: “LOREN, THE BEST DAMN STUNTMAN IN THE WORLD. 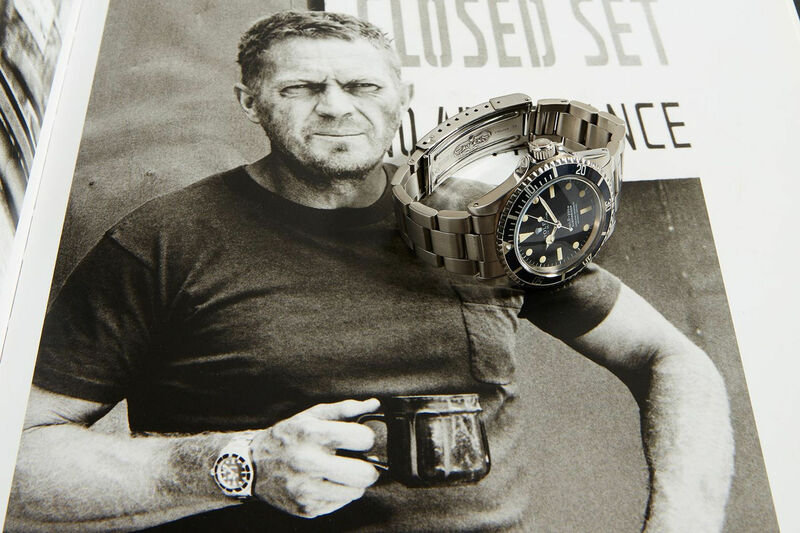 STEVE.” Making this not only the earliest McQueen-owned Submariner ever put up for auction, but also the only known watch to bear the actor’s name. The story gets even more interesting. In 2016, a wildfire outside of Los Angeles, now known as the Sand Fire (named for the area’s Sand Canyon), destroyed more than 40,000 acres, along with 18 buildings, including the home of Mr Loren Janes and his wife. With all their personal belongings lost, the current consignor of McQueen’s 5513 – real estate developer and Hollywood memorabilia collector Michael Eisenberg — urged Janes’ wife and daughter to search for the Sub amongst the ashes. And find it they did, before quickly sending it off to be examined and restored by Rolex U.S.A, who managed to save the watch and, most importantly, keep the inscribed case back. While right now we can’t be completely sure of just how much work had to be done to restore the watch to its former glory, from pictures we can see the case has been refurbished and the dial replaced at some point in time, as it should most likely have been a two-liner gilt dial. However, included with the sale will be a period-correct dial and handset, as well as letters from Mr Janes (who died, aged 85, last June), attesting to the watch’s provenance, and from Rolex, documenting the restoration process, complete with photos. With an estimate of $300,000 – $600,000 USD, this will be one to watch.